Whilst working at the EAFC, one of my roles was to lead “health sessions” with a group of older men. Weekly “health sessions” included one-to-one exercise prescription, nutritional advice and goal setting. The success and limitations of this health intervention is not what I am concentrating within this written piece, as its something we, alongside colleagues at LJMU, the Football Foundation and Age UK are preparing for publication and also presentation at the World Congress for Active Ageing. What I want to concentrate upon is how the vehicle of football helped me engage and support these older men in making big steps towards improving their health. Before providing some key messages for consideration when undertaking this work. Ok, I need to set the scene. So when I started within the programme all of the participants (or fellas) where what I call “real scousers”, they were over the age of 50 and had worked the majority of their lives. Some of them had some serious illnesses along with the usual aches and pains of that age group. In fact, I will be specific the fellas had: Gout, Depression, Muscle skeletal disorder, Post-pollio syndrome, Bowl Cancer, Hypertension (medication controlled), Obesity, High Cholesterol (medication controlled). And like alot of men, they hardly ever went to ask for help in terms of health and felt they did not need help. Most of the men were part of the programme because their health had drastically declined and were on orders engage in a “more active healthier lifestyle”. From the health trainers they ended up with us. Why did they end up with us? If I’m honest its because no one could deal with their complex illnesses or the leisure centre just wasn’t for them (EAFC was different). This is not to say we are expert practitioners. We were not and do not claim to be. We just did our best for the men and sought advice from a range of expert professional covering a broad range of disciplines on a regular basis. 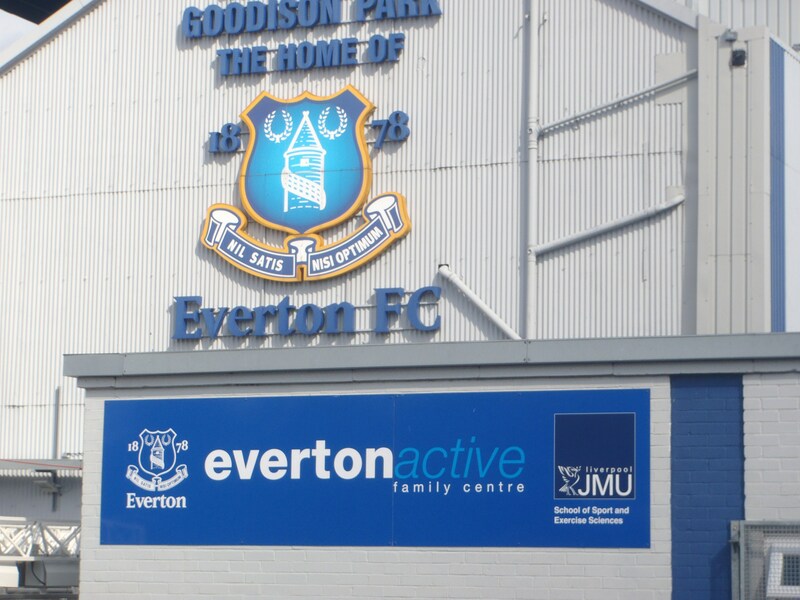 We sought out evidenced based practice, best practice and translated into the reality of working at Goodison Park and a severely deprived area. “Why did they end up with us? If I’m honest its because no one could deal with their complex illnesses or the leisure centre just wasn’t for them (EAFC was different)”. To make it clear these were very proud men and were not with me through direct choice. When I first started I was a 21 year old student, from the midlands with an obvious midlands accent; who clearly stuck out like a saw thumb within one of Liverpool’s main and most important cultural sights (Goodison Park!). I had the job of educating, directing, leading and inspiring these men to take part in supervised exercise and physical activity and subsequent positive healthy behaviours and lifestyles outside of the sessions. I was a young outsider who had the aim of leading what I saw veteran insiders. I did not get the scouse slang at first; I could never even begin to understand the issues of ageing, illness and disability, so how could I engage these men who had unhealthy habits and behaviours that had lasted a near life time. Let alone use so called evidence based practice – where do you start for this type of work!? “Talking football was the key, it was my gatekeeper into the lives of these men”. Mick was on medication for depression, was classified as obese and had high blood pressure. These goals are not necessarily strictly SMART research informed, guideline driven targets. They were agreed, achievable targets developed on mutual trust and respect between the participant and practitioner (old scouse men and a 21 year lad from the midlands). Relationships between the practitioner and participant are vital. Football (whether the power or brand) can engage & recruit and develop a positive relationship (through the language of football), which can help keep men involved in regular physical activity and/or exercise. “These men from one of the most deprived areas of the UK were what is termed “hard to reach populations”, could not afford to get a personal trainer, they felt they did not need help, let alone a personal trainer. 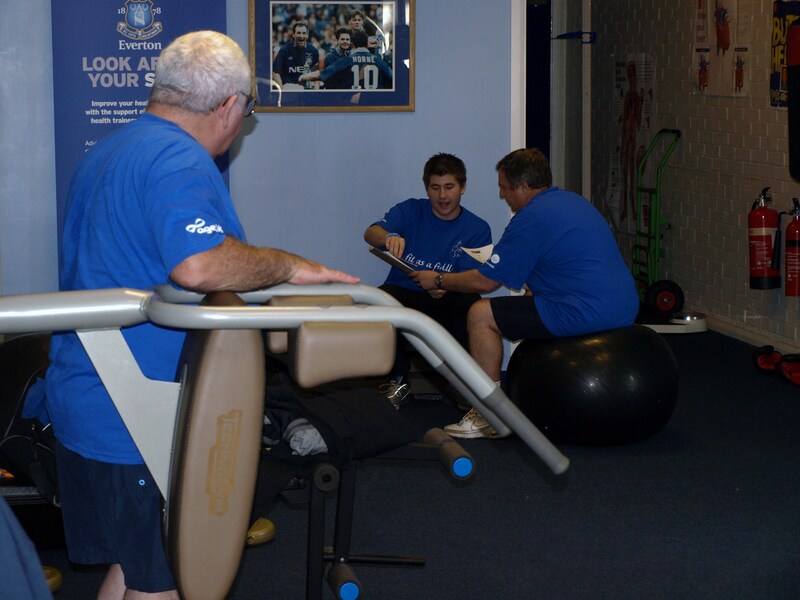 They walked through the door mainly because it was Everton Football Club, and their continued engagement was down to a caring (informed) friend to support them on their journey towards better health (me)”. 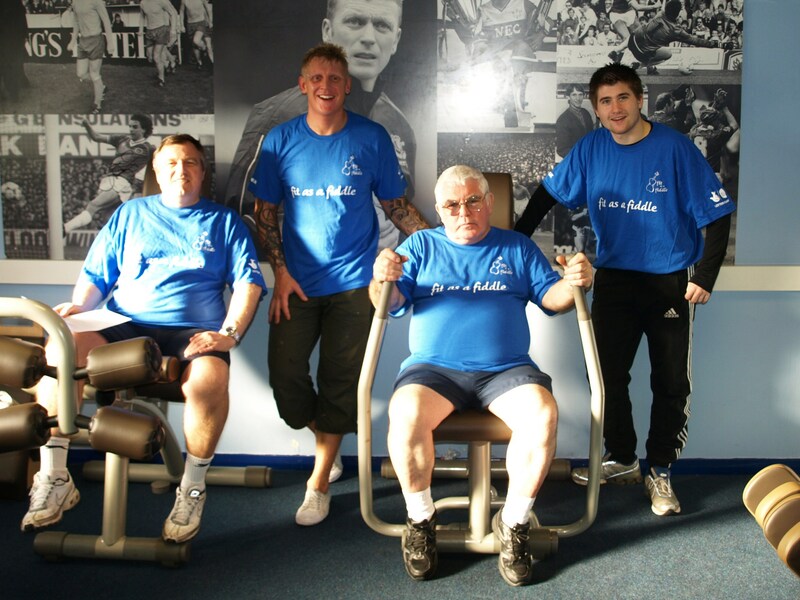 Some further information on the results from the project can be found on the Extra Time website, but what is important is that these gents who after 12 weeks, may not of reached current UK or World Health Organisation physical activity guidelines, however they were now in a position to control their own decisions with regards to health. Use football and the language of football to help you get people ‘in’ and do these!